4 What Macronutrient is Right for Me? 5 How Can I Determine my Macro Split? Against popular belief, there are no supplements that can fuel your workout, recovery, and performance quite like food. The three macronutrients — protein, carbohydrates, and fat — are the key elements to great performance. These macronutrients can be found in just about every morsel of food you can eat. The amount of each varies per food group and item, however. Carbohydrates have gotten a bad reputation from the media over the years. It’s been promoted as the macronutrient group most closely related to weight gain, and so people have become frightened of eating “too many carbs.” However, the diet should be about 50% carbs for a normal individual, and up to 60% for highly active individuals. This is because carbohydrates are the body’s main source of fuel. And since about 60-70% of our daily intake is used by the body to simply keep us alive, eating carbohydrates is essential. So what constitutes a carbohydrate? Carbs are in almost every food, save for pure protein and fat sources. Even your vegetables have 5g per serving! However, the best way to ingest carbohydrates is from whole grain sources, because these also contain an ample amount of fiber. Fiber helps to reduce LDL cholesterol levels in the blood and make up a bulk of your stool. So eat your grains, eat your fiber, and have more energy for your activities! 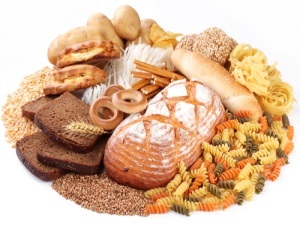 Carbohydrates can also be broken down into glucose, which is further metabolized into glycogen. This glycogen can be stored in the muscles — up to 500g worth! And it’s this stored energy that helps to fuel your workouts. Or, at least for the first couple of minutes of activity. Any activity longer than an hour requires alternative fuel sources, which can be metabolized from dietary fat. Fat is another macronutrient that gets a bad reputation from the media. However, dietary fat does not equal body fat. Or, rather, eating fat will not make you fat. In fact, dietary fatty acids are essential for our daily life! A moderate fat intake (or about 25% of our total calories) can aid in: vitamin A, D, E, and K absorption and distribution throughout the body, weight maintenance, skin and hair health, and sustained energy during exercise. In addition, since dietary fat is more calorically dense than both carbohydrates and proteins at 9 calories/gram, eating less can make you feel fuller longer. 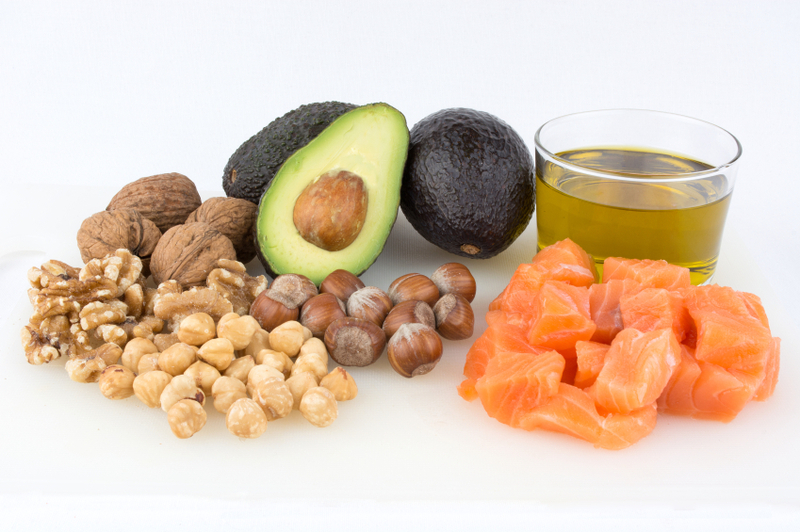 Good fat sources include: fatty fish, avocado, nuts/seeds, olive and sunflower oil, and nut butters. The benefits of an increased dietary fat intake are most prevalent in activities that required sustained energy. The body will always process carbohydrates first and then fat. This is because the body can 1) store more carbs, and 2) they’re easier to break down. However, stored dietary fat is oxidized during long-duration activities (like running) and can be used as a more powerful energy source. Actually, Oxidative Phosphorylation can produce 36ATP versus Glycolysis’s 2ATP, which makes it the preferred energy pathway overall. But it also takes a great deal longer to oxidize molecules than simply breaking them down, so the body never utilizes fat first. Which is unfortunate, because who wouldn’t want to eat their weight in dietary fat and have better gym performance at the same time? A lack of stored carbohydrates and fatty acids in the body, though, makes the muscles and energy systems reliant on protein. But relying on protein for energy takes away from your heard earned gains, which is bad. Protein is the only macronutrient group that hasn’t received a bad reputation by the media. However, an increased protein consumption, like any other macronutrient group, can lead to weight gain. It can also lead to free-floating toxins in the bloodstream because the liver can’t process all those protein molecules at once, as well as some being forced to convert into glycogen. So it actually can be a disservice to the body to increase your protein intake. For healthy, active men, protein consumption should not exceed 1.2g/kg of body weight. For women the number is usually lower at about 0.8-1g/kg of body weight, since women’s muscles are genetically smaller than a male’s. But this increased protein consumption is essential to building muscle. Protein intake brings essential amino acids into the body that it cannot produce on its own. These amino acids are leucine, isoleucine, and valine. Leucine, however, it the key player in muscle regeneration. As you train, the muscle fibers tear and reform. This reformation grows the muscles and gives them a larger appearance on the body. However, if the body has no protein supply to fix these tears, the musculature becomes weak and deformed. It becomes harder to fix. So keeping up with your protein consumption is a key way to make sure your hard training routine equates to larger muscles. Or stronger muscles. Or whatever goal you’re currently working on. Good protein sources can include: lean meats, poultry, red meats (in moderation! ), milk, yogurts, cheeses, legumes, and even some whole grains. What Macronutrient is Right for Me? You need all three macronutrients in order to live a healthy, active life. However, the proportions are different based on the type of activity you perform and your body type. There are three different body types: Ectomorph, Mesomorph, and Endomorph. An ectomorph is generally lanky and has a hard time putting on weight, so an increased load of all three macronutrients will help them to gain size. An endomorph is generally stocky and has a hard time losing weight. In this case, a lower amount of macronutrients are essential when wanting to show size. And a mesomorph is generally a cross between the two, as someone who generally looks muscular and can either have an easy or hard time putting on weight. Most people fall into this category and so their macronutrient split becomes more determined on their individual genetics. In addition, the type of activity that a person takes part in has a large influence over their macronutrient split. For example, a marathon runner is going to need an increased fat and protein load because they need sustained energy and their muscles are under a lot more tension for longer periods of time. Conversely, a powerlifter will need a greater protein and carbohydrate load because they’re focusing on more explosive, one-time lifts. And a bodybuilder will need moderate amounts of all three, because they have shorter lived energy needs but still want to put on size. For powerlifting, gear towards an increased carbohydrate and protein load. For long duration sports, higher fats and proteins. For bodybuilding, consume 1 part fat, 2 parts protein, 3 parts carbohydrate of total calories. For aerobic sports, such as dancing and running, increase your fat consumption. For athletic sports, your macronutrient split is more determined on the sport you play. For example, football would require more carbohydrate and protein while swimming would require more fat. How Can I Determine my Macro Split? In all honesty, if you’re new to tracking macronutrients or are getting serious into a new training style, seek a coach. Under or over eating are very common when first paying attention to macronutrients. Doing either one can not only hinder your performance, but can also lead to a slew of health problems. So do yourself a favor and hire someone who’s versed in this language. If you’re more experienced in fitness and want to give it a try, tracking your macronutrients is easy, quick, and can significantly help your sport. You can visit this link for a macronutrient calculator, or track it yourself from your Basal Metabolic Rate (BMR) and your Total Daily Energy Expenditure (TDEE). However, remember to take into account your sport, your current goals, and your genetic makeup. All three elements play a key role in how much you need to eat!